Bike Grease and Coffee: As the irrelative weight of rolling stones and sheer magnitude of tumble weeds we find ourselves riding in the lee of repercussions. As the irrelative weight of rolling stones and sheer magnitude of tumble weeds we find ourselves riding in the lee of repercussions. With the ease of putting on a poncho backwards and or whacking a mad slice at our first attempt at high velocity mini-golf, some changes come easy. Others leave lumps in the throat and are tough to scratch with sandpaper. This is the part where I admit that Kelly has gone back to New Jersey. The loss of her brother and the strain of this ever shifting and difficult way of living had taken its toll. She is the toughest female I have ever know but some things just get the better of the best. She is gonna take a time out, convalesce and we'll see her out and plowing the fields of the unknown again at a later time. She is all the stronger and intellegent in my mind for knowing when to call it. She is never one to think of herself and always trying to please others, but in this case, Kelly needs Kelly time. Samu and I will miss her everyday. So the change of agenda for me is to not to plunk into the swamps and rainforrests of the Moskitia. Instead I'm gonna stomp some pedals over dusty highlands towards Nicaragua and the Pacific coast. Eat, sleep, ride. Just what I love to do! sad to hear that kelly is having bad time of it. please send her all my love and well wishes. but i am glad to know that you are still cutting a path through the unknown (at least what is unknown to me). keep riding, i'll keep reading. I am sorry to hear you have lost your partner (although from the little I know of her, I somehow doubt you have lost her for long). I have no doubt that you will find the fortitude to complete your journey, despite the occasional setbacks, both physical and emotional. I have no idea where I will be located by the time you finish your grand loop of the world, but I am looking forward to once again having a few cold beers fireside with you once you do. 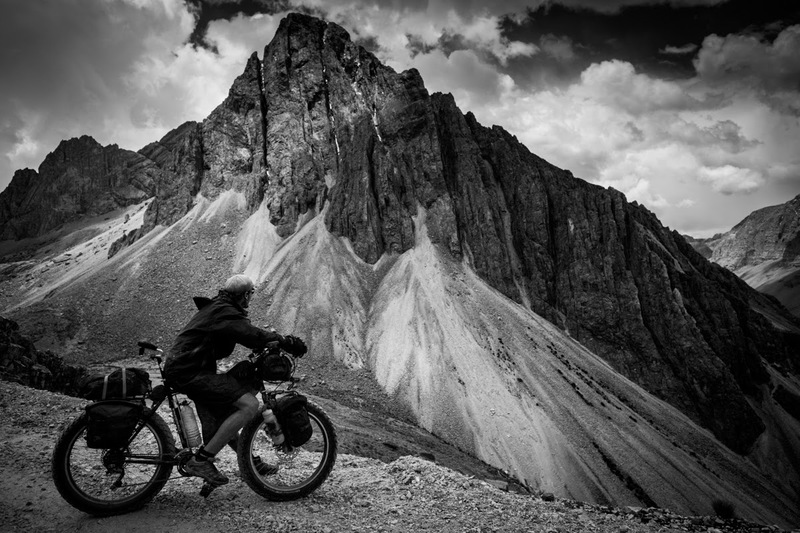 it makes sense that when someones' brother dies, they would NOT want to continue riding a bike on an adventure. it's so good that she knows her priorities, because what she is doing seems so much more important. it's so good that she's chosen to pursue and address real issues, such as dealing with the death of a family member and her own emotional well-being. many people ignore these things and instead choose to run... good for her! happy trails. Hey Thanx Bob! and NHT, It may be a few years but we'll have those beers. ANM what you are commenting on is something very real and very emotional for me and it seems pretty clear you dont know the facts and are just restating what has already been covered. please refrain from commenting farther. happy trails.